Vegetable gardening is more popular than it’s ever been before. This is due in large part to the fact that people have their own yards where they can plant a good deal of vegetables in a very small amount of space. However, it’s also because people see all the benefits too. For one thing, they get their own produce right in their yard where they know exactly what went into making it. Furthermore, growing your own food is far more affordable than buying it at the market once you have your garden up and running. So if you’d like to join the thousands of people who have already taken the plunge, here’s what you need to know. Before you begin, consider where your garden will actually lay its roots. For many people, this shouldn’t be too difficult, unless you have a large estate or a number of trees or other issues that could cause problems. No matter what kind of property you have, however, you want to look for four main things. First, there’s sun exposure. If your future garden can’t access the sun, there’s no point in planning there. Some flowers don’t need much sunlight or hardly any at all. However, vegetables definitely do. Unless they get between six and eight hours a day of direct exposure, they’ll either die or underwhelm with their performance. 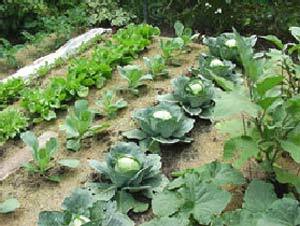 They don’t need more than that, but eight hours is really ideal for your vegetable garden. Next, think about drainage. All plants love water, but only up unto a point. They must be able to drain any excess or they could literally drown in the water leftover. Find a place that will give them a little bit of elevation so they can drain the water out without issue. If you need to, build an area up, even using a gardening box, so that your vegetable plants aren’t going to get stuck in a pool of water. What you don’t want to do is plant in some indent in your yard or at the bottom of a hill. Third, look for good soil. This isn’t a huge deal because you can always go out and buy the good stuff. But if your yard has some particularly good soil somewhere, there’s no point in not taking advantage of this natural benefit. However, this also means staying away from any areas where soil may be working against you. Do you know of any areas where the soil may be toxic because of oil spills or other chemical fallout? It happens more often than you think, especially when homes are built. You definitely want to stay away from these soil types because they will work against feeding your plants and can easily poison them. Sometimes, they could even make vegetables that are unsafe to eat. Fourth, definitely take some time to think about where it will be most convenient to plant your vegetable garden. 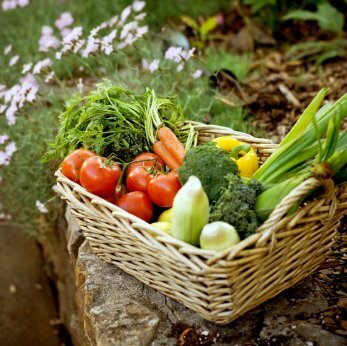 After all, you’ll need to make frequent trips to your vegetable box in order to weed, water, harvest and inspect on a regular basis. 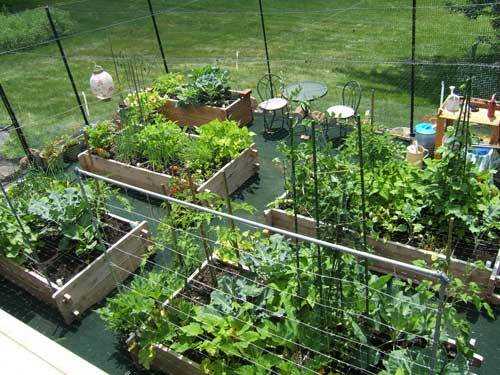 If the garden is too difficult to reach in order to do this daily, you’ll have huge problems. Al-right, now that you know where your garden will grow, it’s time for the fun part: picking out what kinds of vegetables you want to plant and someday enjoy. The good news is that just about any vegetable you like is capable of being planted, unless you live in a particularly bad climate. This means you could be growing tomatoes, peppers, cucumbers, beans, summer squash, carrots, lettuce, winter squash, cabbages, radishes and many others. Don’t get carried away though. 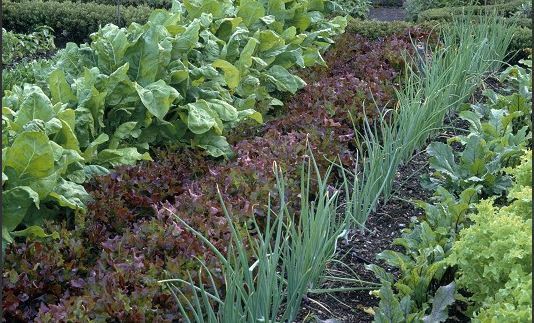 Vegetable gardening is a lot of work, especially in the beginning, so you don’t want to simply grow every option that sounds like it may taste good on your plate someday. Instead, start with the two or three vegetables you want to try the most. After you get the hang of things, you can always add to your garden later. Knowing where your garden will go is important. However, once you know what you want to grow, it’s essential you plan out where you’ll put them. This means plotting out on paper how many plants you’ll put into the ground and where. Also, depending on which vegetables you choose, they will need a certain amount of space for their unique needs. So do your due diligence in figuring out which will “play nicely” with others and which should have a section of their own. You’re almost ready to start! However, before you do, there’s still one more important area you need to cover and that’s the soil you’ll be planting in. Obviously, if you don’t have quality soil, you won’t see the results you’re hoping for. So this step definitely deserves your attention. No one builds a home on a faulty foundation, right? So don’t do the same with your vegetable garden or you’ll end up disappointed. Check what kind of soil you have in your yard by digging it up (note: make sure you have someone from your utility company come out and spray where you need to be careful about power lines). Many of you may have clay soil you’re planting in. If so, just make sure you amend it so its pH is favourable. To do this, you’ll want to either have someone test your soil or go out and buy a kit to do it yourself. Either way, you need the best soil possible for your vegetables. Most of you will want to amend your soil in some way. This will mean either using potassium, nitrogen or phosphorous. Fortunately, these are common remedies such as organic gardening, meaning it won’t cost a whole lot to give your garden the help it needs. With all these steps completed, you’re now ready to break ground and start planting. You’ll be well on your way to eating home-grown vegetables in the near future, which will mean better quality food at a lower price.